Range Rovers are truly unique vehicles, combining luxury and sophistication with the brand’s trademark go-anywhere ability. It works, whether at the hotel valet or off the beaten path. This weekend, Sime Darby Auto Connexion (SDAC) will be celebrating the brand with “The Range Rover Day” event, happening at SDAC Petaling Jaya. On hand to welcome you at The Range Rover Day will be the dynamic Range Rover Sport, stylish Range Rover Velar and the big daddy Range Rover. Special promotions will be available for all Range Rover models, which will be available for test drives. Product experts will be there to share information and insights on the SUVs. This is also a great opportunity for you to get up close and personal with the Range Rover Velar, which is now available in P380 R-Dynamic guise, powered by a 3.0-litre supercharged V6 petrol engine with 380 PS and 450 Nm of torque. The latest variant joins the P250 powertrain with the 2.0-litre Ingenium turbocharged four-cylinder unit. 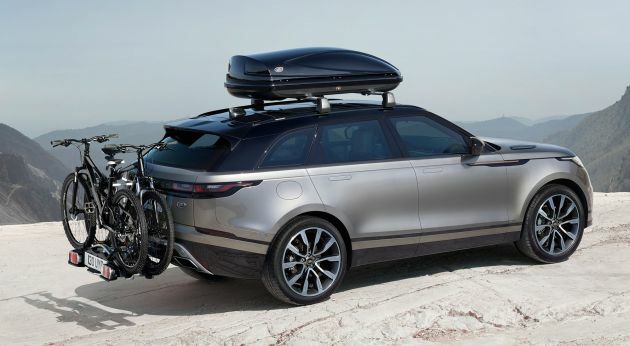 The Velar showcases Range Rover’s new reductive approach to design, featuring a clean exterior form with flush door handles and a “secret until lit” minimalist cabin. As the fashionista of the trio, the Velar turns heads. It’s not a celebration without family, so existing Range Rover customers are welcome to The Range Rover Day, where you can enjoy accessory promotions of up to 20%, and savings on services packages worth RM1,000. Join The Range Rover Day at Sime Darby Auto Connexion Petaling Jaya (Waze location, or call 03-92123103) from December 1-2, 10am to 5pm.